HUGE PRICE REDUCTION! BEST single level 4/2 home in highly sought after Mariner's Valley! Offering a spacious remod kit, w/SS appliances, lots of cupboards, 4 seating eat-in counter, beautifully remod bathrooms, a wonderful floor plan, fam rm, split AC in main living area, private entry way, almost new windows throughout, soaring Cathedral ceilings, a delightful enclosed lushly landscaped garden with an adorable play house, fresh new interior paint, shoji screens, HUGE attic storage, FULLY PAID Photovoltaic keeps your electric bill to a handful of dollars a month! Moments away from schools, bus-lines, shops, including COSTCO! Churches, great Restaurants, movie theater, Marina, golf courses, dog park & some of the best swimming & surfing beaches on Oahu! Landscaped. Interior Lot, County Road. 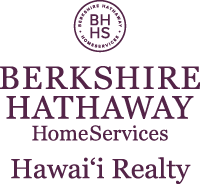 I am interested in 926 Waioli Street, Honolulu, HI 96825. Sign up for Inside AccessTM to view recent sales near 926 Waioli Street. Courtesy: Stott Real Estate, Inc.